A Happy Halloween to You! ~ Johanna, JP and Jack, our holiday poser! 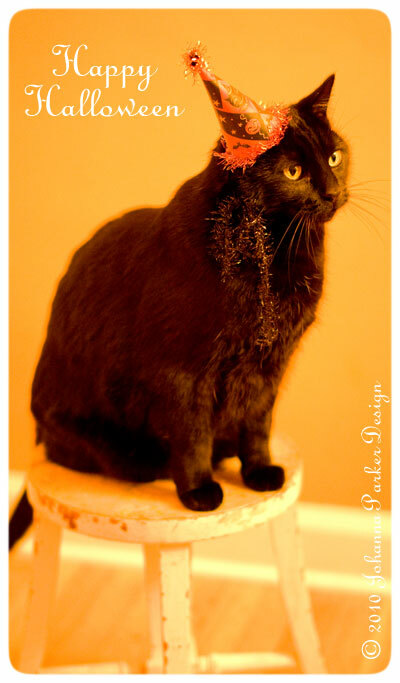 * Jack proudly poses, wearing my illustrated party hat for Halloween 2010.... For my birthday, JP gave me a new lens for my camera that created this dreamy, soft blur effect that I just love! Photography, © 2010 Johanna Parker Design - Image may not be used without permission.